Episode 31 | Full of Surprises! Surprise! Sometimes things don’t go as planned. And sometimes, Christian tries to use too many metaphors in one sitting. 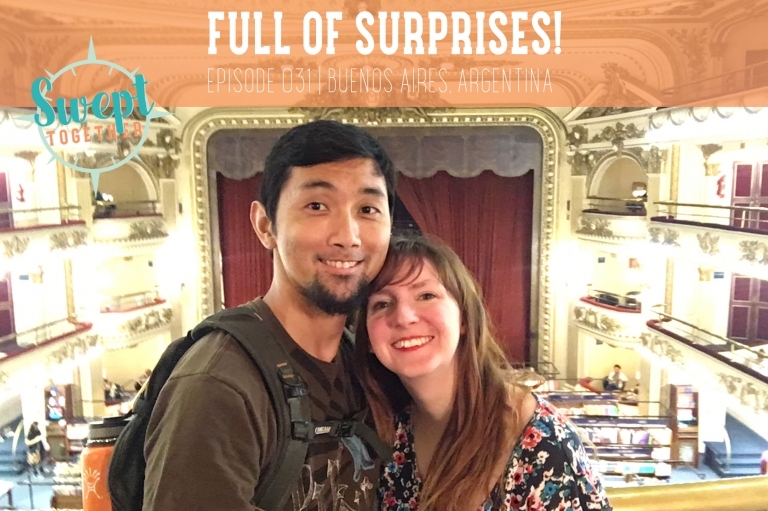 The episode we recorded in Buenos Aires was sabotaged by radio interference, so we put together a quick life update instead. It’s been a big week in the life of Christabelle (which our friends lovingly dubbed us).